Hungarian GP F1 Strategy Report Podcast – our host Michael Lamonato is joined by Abhishek Takle – F1 Journalist. 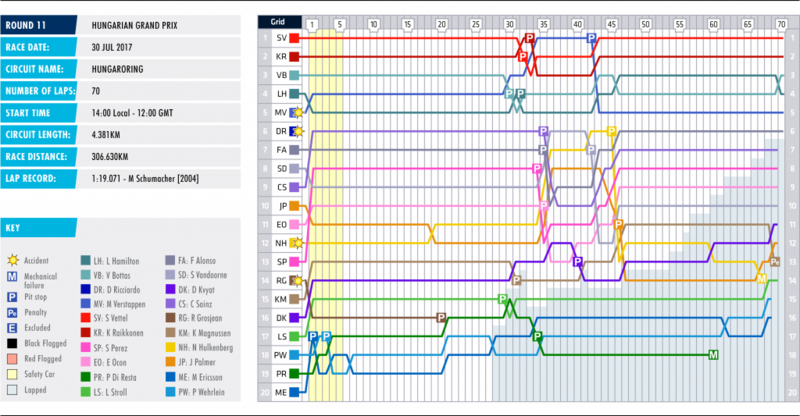 Formula 1’s annual visit to the Hungaroring featured a fascinating, but not particularly thrilling, 70-lap race. Ferrari took a controlled 1-2 finish, with Sebastian Vettel picking up his second Hungarian Grand Prix win, ahead of Kimi Raikkonen. The first lap was frenetic and fast-paced, before an early safety car neutralised the action. It started to become a bit processional during the mid-part of the race, but it all came alive towards the end as the top five closed up. Unfortunately, with the circuit being notoriously difficult to overtake on, the order largely remained the same – apart from Lewis Hamilton letting through his team-mate Valtteri Bottas. But, it was a much more intense way to end the race. 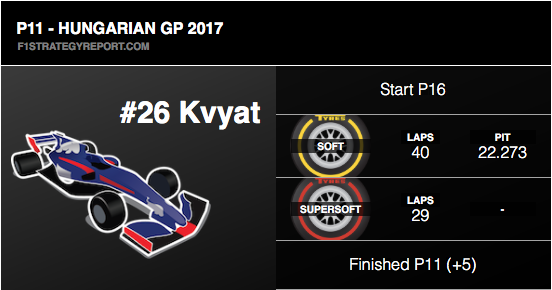 Of course, one of the biggest stories from the Hungarian GP was the first-lap contact between Max Verstappen and Daniel Ricciardo at Turn 2. 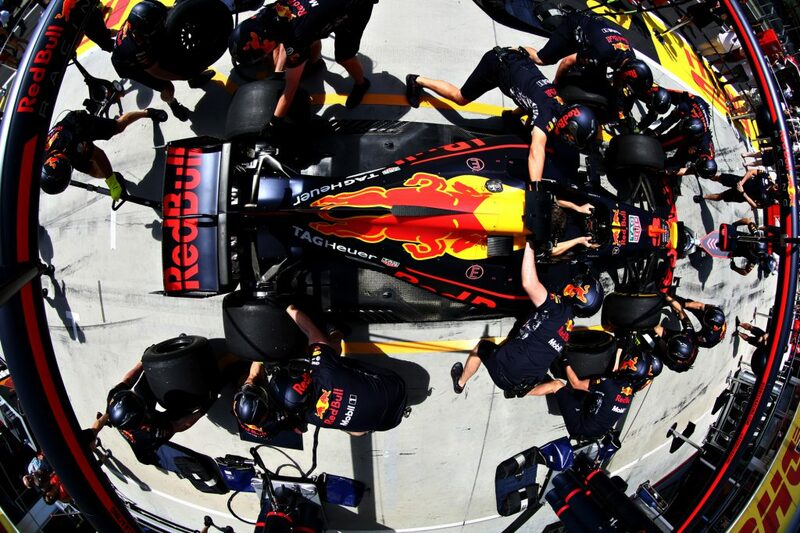 It took Ricciardo out of the race with damage and fluid pouring out of his car, while Verstappen managed to continue on, with a 10-second time penalty. Verstappen and Ricciardo were side-by-side going into the corner. But, Verstappen locked up, ran deep and slammed into his team-mate. 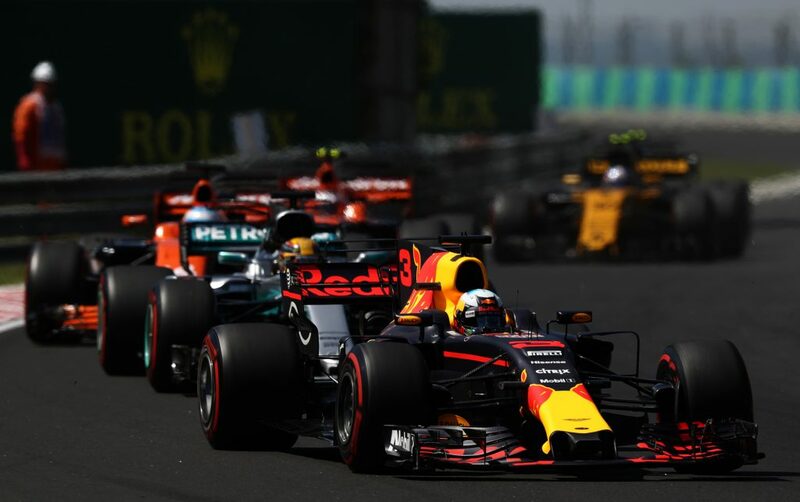 The resulting time penalty proved costly for both drivers, as Red Bull’s pace really came alive in the race – as Verstappen showed. 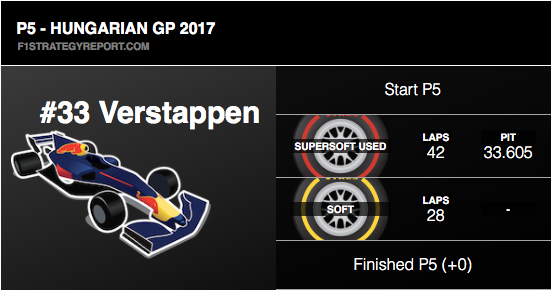 For much of the first stint, Verstappen was ahead of Lewis Hamilton, but the RB13 looked after its tyres very well – as we have seen before – and he went longer on his pitstop. But, of course, with his penalty, he dropped well behind Hamilton after his lap 42 switch to softs. 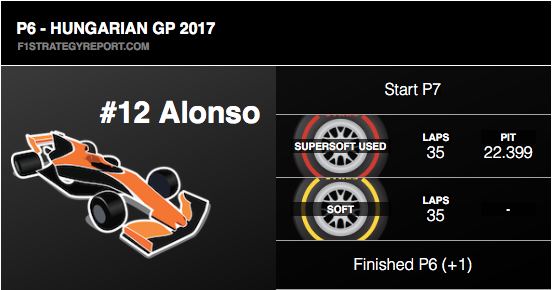 But, with not only fresh tyres but good pace, he was able to quickly close on Bottas, Hamilton, Raikkonen and Vettel, and ended up finishing only 13-seconds off the lead. Imagine what could have been possible without the penalty? A podium, for sure. Hamilton soon caught Bottas after the pitstops and was clearly the quicker of the two at the time, so Mercedes told Bottas to let his team-mate through and give challenging the Ferrari drivers a go. He did, but frustratingly, after a long stint hunting them down, he couldn’t get close enough to try a move. When Hamilton had gone past Bottas, he’d promised to let him back through if he was unsuccessful. Verstappen was closing and right behind Bottas on the last lap, but he was a man of his word and let the Finn ahead at the very last corner to take third place. In all honesty, it was a pretty straightforward race for the top drivers. Bottas went first with the pitstops, diving in on lap 30, followed swiftly by Hamilton on the next trip around the circuit. 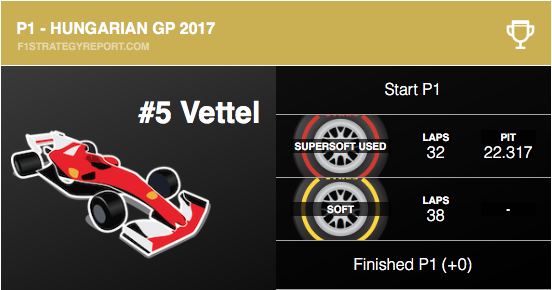 Ferrari reacted but at that stage, they had a decent advantage – with Vettel and Raikkonen stopping on lap 32 and lap 33 respectively. Raikkonen was actually frustrated that he was stopped so soon. He felt his pace was good, and he could have gone longer on those tyres. It was a feeling also felt by Hamilton, but team radio issues that were only resolved later in the race prevented him from communicating that to Mercedes at the time. 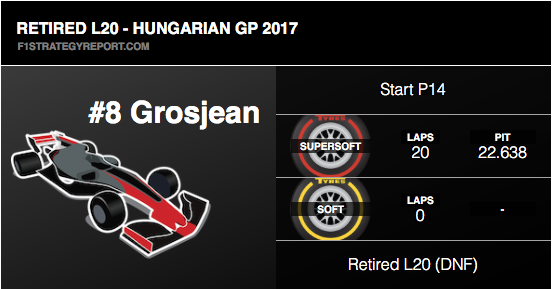 Even though the temperatures were extremely high in Hungary, as usual, the early safety car neutralised the race and allowed drivers to extend their first stints – which made it a safe one-stop, in the end. The tyres held up well, with better than predicted degradation, and few drivers experienced issues. Even though drivers had just one pitstop, there were still a number of issues during those trips to their pit boxes. Nico Hulkenberg had a particularly slow stop, as did Romain Grosjean – which caused his retirement. 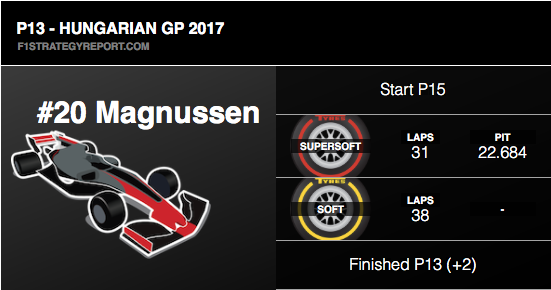 Even the leaders suffered slightly sluggish stops, so it wasn’t a clean or swift afternoon in the pits. It was a tough race for the Swiss outfit. 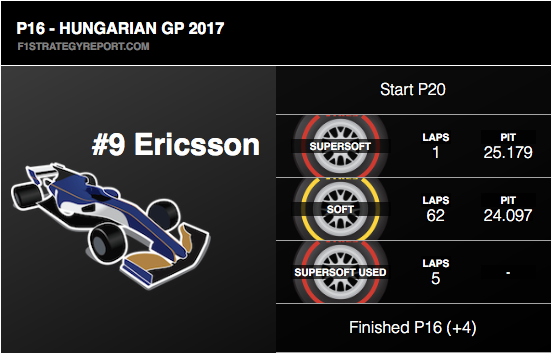 During the safety car, both Marcus Ericsson and Pascal Wehrlein pitted, and it looked like a daring strategy move to ditch the super-softs for soft tyres. However, it was actually due to both picking up punctures on the opening lap, and this put them off-strategy with the rest of the pack. Wehrlein played it safe and stopped again for another set of softs on lap 28, but Ericsson stayed out much longer. 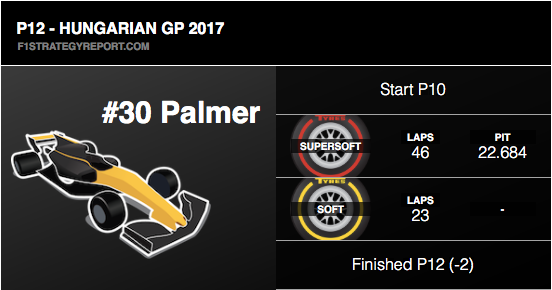 It looked like he was trying to get to the end but on lap 63 he pitted for super-softs, which ruined that possibility. 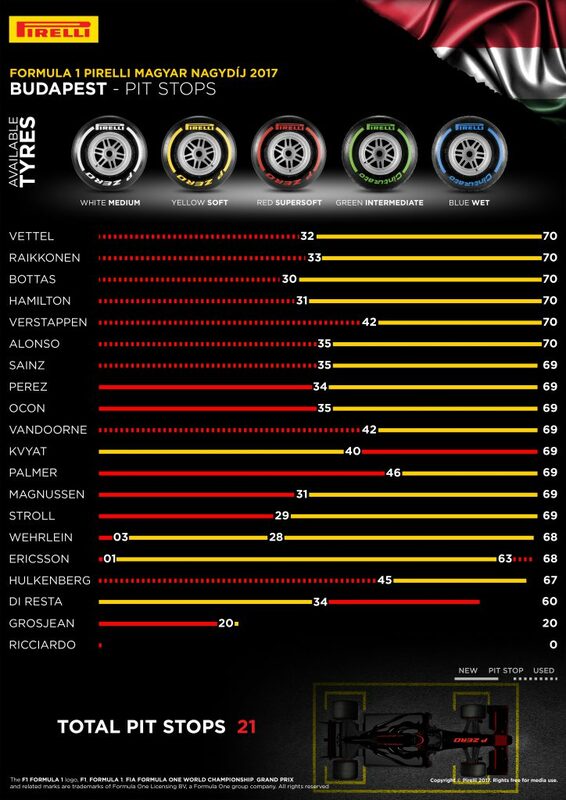 Unlike recent races, we didn’t see that much variation in the tyres the drivers started on. 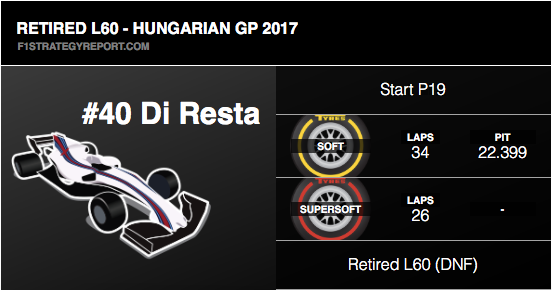 Just Paul di Resta – making his return, replacing the unwell Felipe Massa at Williams – and Daniil Kvyat took the slightly riskier strategy of lining up on the soft tyres. In the end, the super-softs proved strong and durable enough to run at good pace without little degradation for well over 30 laps. 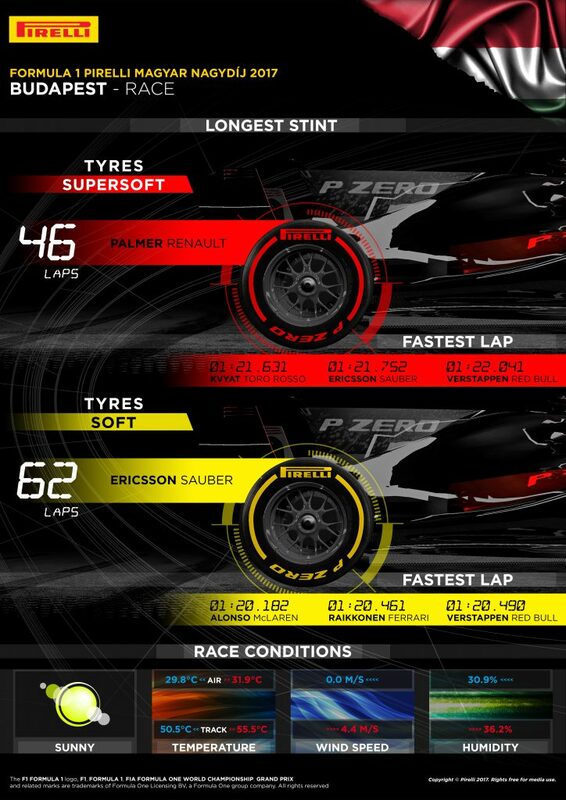 Verstappen’s 42-lap stint was the longest on that set, and many others did impressively stretched-out first stints, while Ericsson did a mammoth 62 laps on the softs. The medium tyre was pretty universally unloved for the entire weekend, only making appearances in Friday practice before being ditched. The softer compounds are just too durable and quick to not take advantage of.